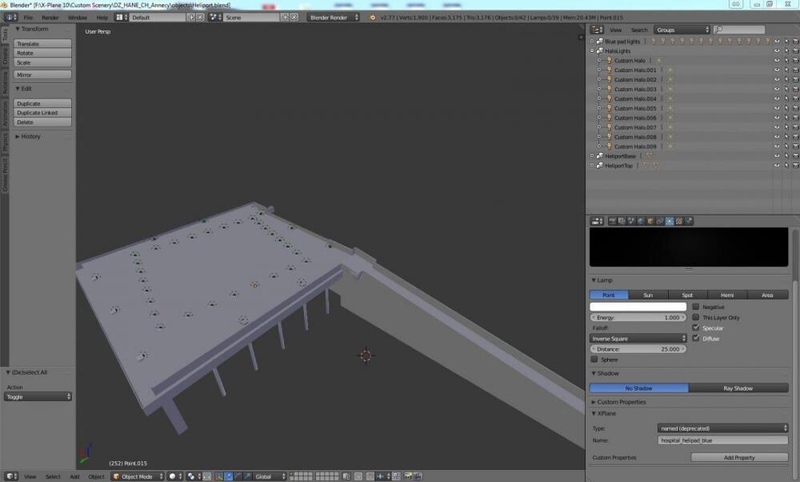 I have a little problem with casting light on a helipad I'm building. 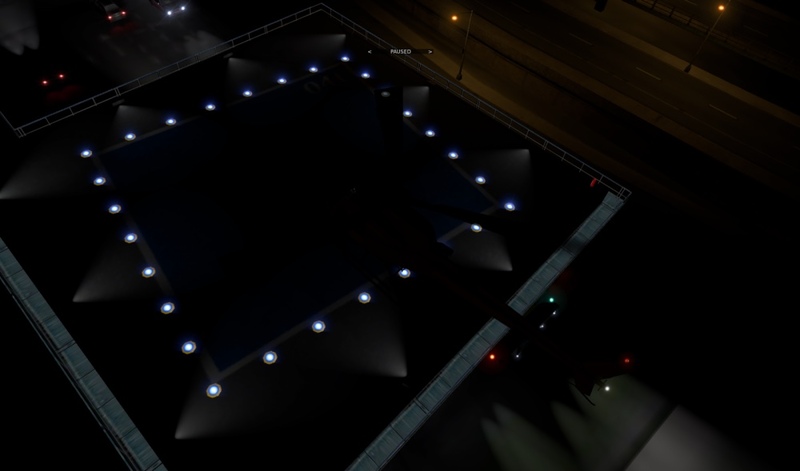 I'm using the "LIGHT_PARAM full_custom_halo_night" but my helipad is only slightly lid. 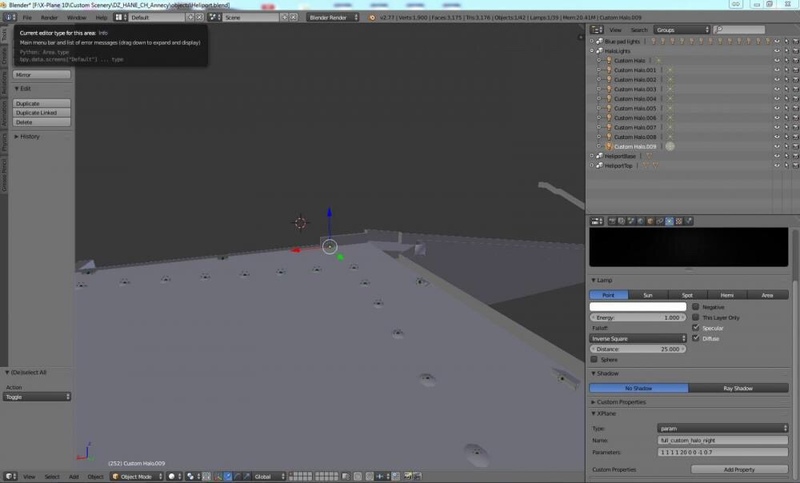 Its an elevated pad, could it be the lights go trough the object? "LIGHT_PARAM full_custom_halo_night -0.82300138 7.0999999 -14.68239021 1 1 1 1 15 0 0 1 0.7"
My plan was to make these halo lights much brighter so they light-up the helipad up to the center. I tried to extend the beam to 150m but this doesn't change a thing on the pad only on the ground below. Because of the 30m with of the pad I changed the beam to 15m. Here are some screens of my tests, I hope somebody could help me out on this.